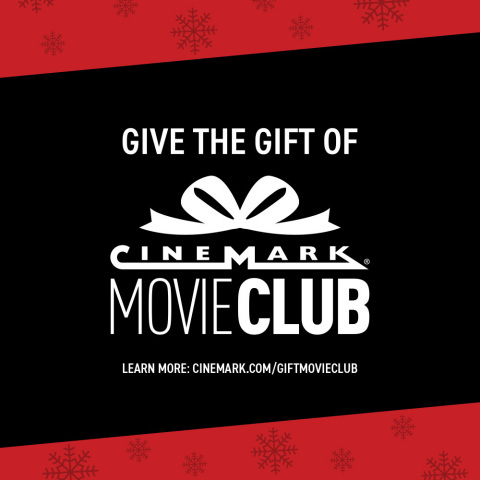 PLANO, Texas--(BUSINESS WIRE)--Nov. 15, 2018-- Cinemark Holdings, Inc. (NYSE: CNK), a leader in the motion picture exhibition industry, today announced the launch of Movie Club gifting, a new feature of its unique monthly movie membership program. Movie Club memberships and credits are now available in packages ranging from one to 12 months just in time for the holiday shopping season. Movie Club customers enjoy exclusive benefits including ticket and concession discounts, waived online fees and rollover tickets. This new offering can be purchased through the Cinemark app or by visiting www.cinemark.com/giftmovieclub. Movie Club is accepted at all Cinemark locations across the nation, including Century Theatres, CinéArts, Tinseltown and Rave Cinemas. To join, visit www.cinemark.com/movieclub or download the Cinemark app.